MSF hosted a Community Forum in the North Ward on April 9th at Rivera Community Middle School. At-Large and North Ward candidates were invited to the event. 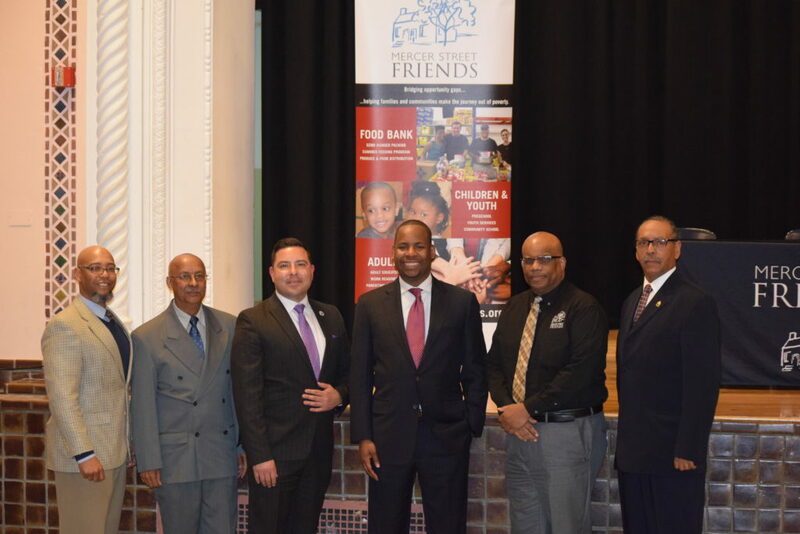 The candidates that attended are pictured below (left to right): Jacque Howard (moderator), Santiago Rodriguez (At-Large Candidate), Elvin Montero (At-Large Candidate), Jerrell Blakely (At-Large Candidate), Armstead Johnson (Executive Director of Mercer Street Friends), and Algernon Ward (North Ward Candidate). 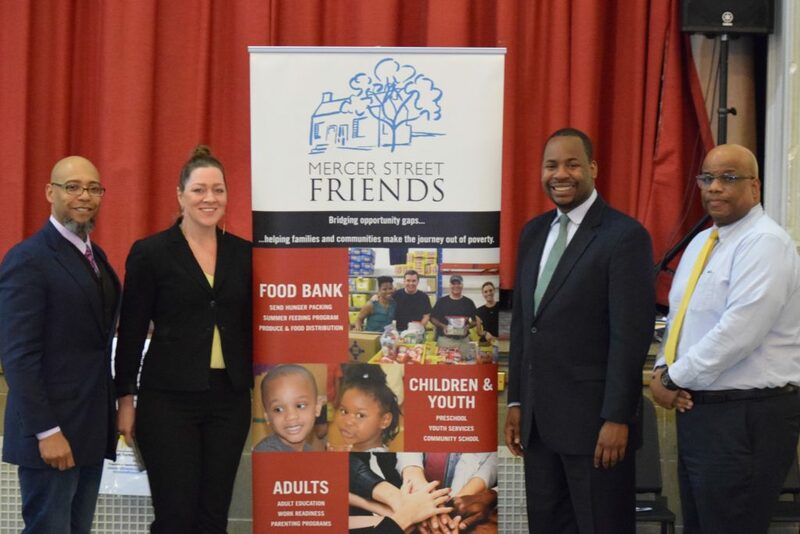 The second MSF Community Forum took place on April 16th in the East Ward at Hedgepeth-Williams Middle School. The candidates that attended the East Ward forum are pictured below (left to right): Perry Shaw III (East Ward Candidate), Santiago Rodriguez (At-Large Candidate), Tawanda Terry Wilson (East Ward Candidate), Armstead Johnson (Executive Director of Mercer Street Friends), Jerrell Blakely (At-Large Candidate), and Jacque Howard (moderator). 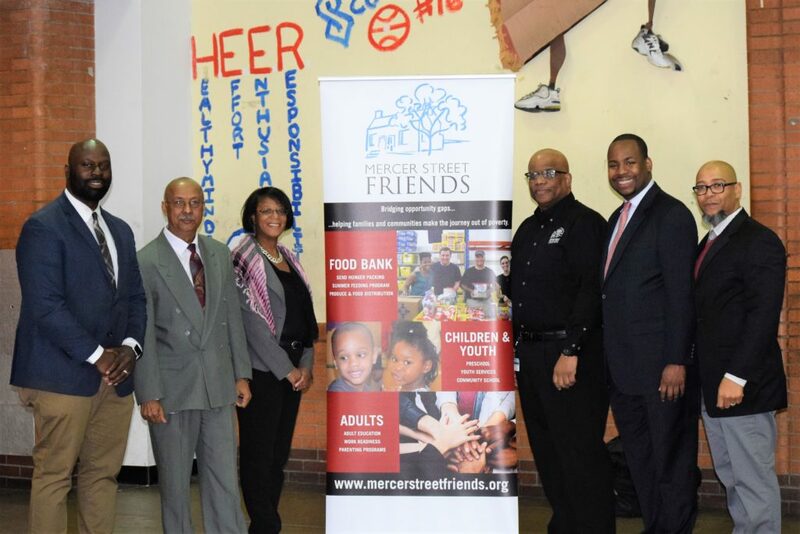 The third MSF Community Forum took place on April 23rd in the West Ward at Gregory Community Elementary School. 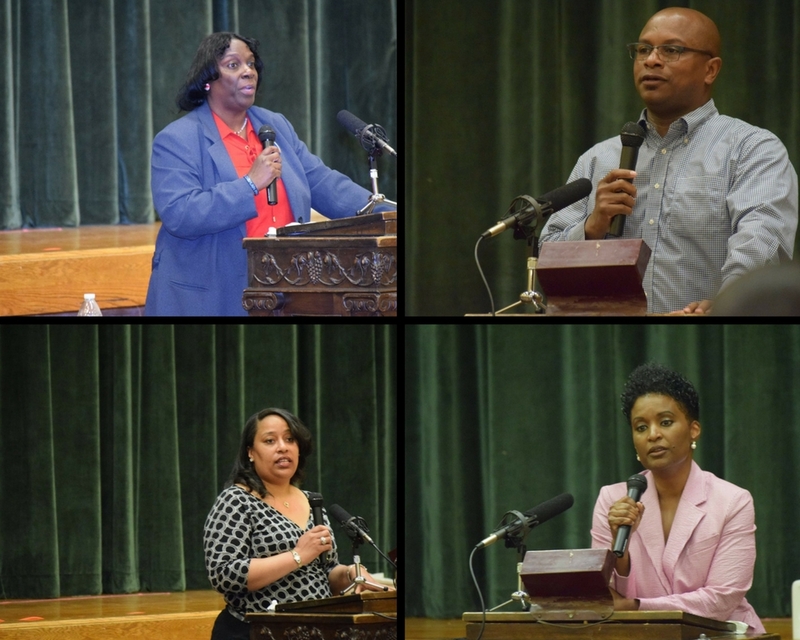 Four West Ward City Council Candidates attended the forum. Pictured below (clockwise from top left) Dr. Shirley Gaines (West Ward Candidate); Zachary Chester (West Ward Candidate); Robin Vaughn (West Ward Candidate); Atalaya Armstrong (West Ward Candidate). The fourth MSF Community Forum took place on April 30th in the South Ward at Grace Dunn Middle School. Two At-Large Candidates attended the forum Rachel Cogsville and Jerrell Blakeley, on either side of the Mercer Street Friends sign. Also pictured, Jacque Howard (far left) and Armstead Johnson (far right).